of orders supplied by 5zigen	are supplied within the time scales listed (+/- 1 week). of orders supplied by ACRE	are supplied within the time scales listed (+/- 1 week). of orders supplied by Advan	are supplied within the time scales listed (+/- 1 week). In order to accurately rate delivery times from Aero Workz we require at least 5 products to be ordered and shipped. In order to accurately rate delivery times from AME Wheels we require at least 5 products to be ordered and shipped. of orders supplied by Amuse	are supplied within the time scales listed (+/- 1 week). of orders supplied by Apexi	are supplied within the time scales listed (+/- 1 week). of orders supplied by Aragosta	are supplied within the time scales listed (+/- 1 week). of orders supplied by ARC Brazing	are supplied within the time scales listed (+/- 1 week). of orders supplied by ASM Yokohama	are supplied within the time scales listed (+/- 1 week). In order to accurately rate delivery times from ATC Japan we require at least 5 products to be ordered and shipped. of orders supplied by Backyard Special	are supplied within the time scales listed (+/- 1 week). of orders supplied by Beatrush	are supplied within the time scales listed (+/- 1 week). of orders supplied by Bride	are supplied within the time scales listed (+/- 1 week). of orders supplied by Buddy Club	are supplied within the time scales listed (+/- 1 week). In order to accurately rate delivery times from Car Shop Glow we require at least 5 products to be ordered and shipped. of orders supplied by Carbing	are supplied within the time scales listed (+/- 1 week). of orders supplied by Charge Speed	are supplied within the time scales listed (+/- 1 week). of orders supplied by Craft Square	are supplied within the time scales listed (+/- 1 week). of orders supplied by Cusco	are supplied within the time scales listed (+/- 1 week). of orders supplied by Dixcel	are supplied within the time scales listed (+/- 1 week). of orders supplied by Edirb	are supplied within the time scales listed (+/- 1 week). of orders supplied by Endless	are supplied within the time scales listed (+/- 1 week). of orders supplied by Enkei	are supplied within the time scales listed (+/- 1 week). of orders supplied by Exedy	are supplied within the time scales listed (+/- 1 week). of orders supplied by Feels (Honda Twincam)	are supplied within the time scales listed (+/- 1 week). of orders supplied by First Molding	are supplied within the time scales listed (+/- 1 week). of orders supplied by Fujitsubo	are supplied within the time scales listed (+/- 1 week). of orders supplied by Genuine Honda Parts	are supplied within the time scales listed (+/- 1 week). of orders supplied by GruppeM	are supplied within the time scales listed (+/- 1 week). of orders supplied by HKB Sports	are supplied within the time scales listed (+/- 1 week). of orders supplied by HKS	are supplied within the time scales listed (+/- 1 week). of orders supplied by Hyper Rev	are supplied within the time scales listed (+/- 1 week). of orders supplied by Ings	are supplied within the time scales listed (+/- 1 week). In order to accurately rate delivery times from Invidia we require at least 5 products to be ordered and shipped. of orders supplied by Js Racing	are supplied within the time scales listed (+/- 1 week). of orders supplied by Jun Auto	are supplied within the time scales listed (+/- 1 week). In order to accurately rate delivery times from K-One we require at least 5 products to be ordered and shipped. In order to accurately rate delivery times from K-Tech we require at least 5 products to be ordered and shipped. In order to accurately rate delivery times from K1 Laboratory we require at least 5 products to be ordered and shipped. of orders supplied by Kaaz	are supplied within the time scales listed (+/- 1 week). of orders supplied by Kakimoto	are supplied within the time scales listed (+/- 1 week). of orders supplied by Key!s Racing	are supplied within the time scales listed (+/- 1 week). of orders supplied by MandM Honda	are supplied within the time scales listed (+/- 1 week). of orders supplied by Maroya	are supplied within the time scales listed (+/- 1 week). In order to accurately rate delivery times from Max Racing we require at least 5 products to be ordered and shipped. of orders supplied by Maxim Works	are supplied within the time scales listed (+/- 1 week). In order to accurately rate delivery times from Mocal we require at least 5 products to be ordered and shipped. In order to accurately rate delivery times from MS Alpha Rigid we require at least 5 products to be ordered and shipped. of orders supplied by Mugen	are supplied within the time scales listed (+/- 1 week). of orders supplied by Next Nippon	are supplied within the time scales listed (+/- 1 week). of orders supplied by NSX Magazine	are supplied within the time scales listed (+/- 1 week). of orders supplied by Ogura Clutch	are supplied within the time scales listed (+/- 1 week). In order to accurately rate delivery times from Ohlins Europe we require at least 5 products to be ordered and shipped. In order to accurately rate delivery times from Ohlins Japan we require at least 5 products to be ordered and shipped. In order to accurately rate delivery times from OKADAPROJECTS we require at least 5 products to be ordered and shipped. of orders supplied by OS Giken	are supplied within the time scales listed (+/- 1 week). 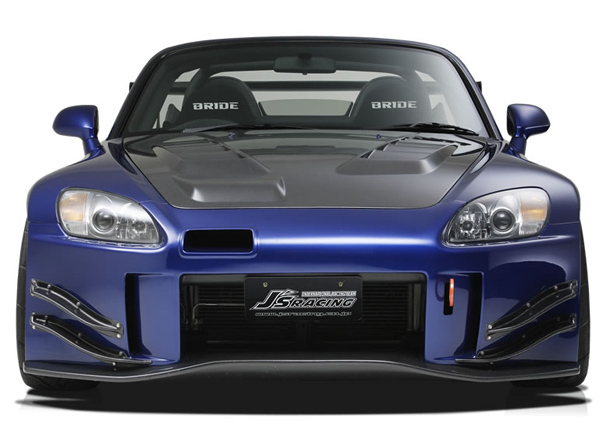 In order to accurately rate delivery times from Osaka JDM we require at least 5 products to be ordered and shipped. In order to accurately rate delivery times from Pivot we require at least 5 products to be ordered and shipped. of orders supplied by Power Enterprise	are supplied within the time scales listed (+/- 1 week). of orders supplied by Project Kics	are supplied within the time scales listed (+/- 1 week). of orders supplied by Project Mu	are supplied within the time scales listed (+/- 1 week). of orders supplied by Racing Gear	are supplied within the time scales listed (+/- 1 week). of orders supplied by Rays	are supplied within the time scales listed (+/- 1 week). In order to accurately rate delivery times from Rotiform we require at least 5 products to be ordered and shipped. In order to accurately rate delivery times from RZCrew Garage we require at least 5 products to be ordered and shipped. In order to accurately rate delivery times from Scorpion we require at least 5 products to be ordered and shipped. of orders supplied by Seeker	are supplied within the time scales listed (+/- 1 week). of orders supplied by Seido Ya	are supplied within the time scales listed (+/- 1 week). of orders supplied by Spoon	are supplied within the time scales listed (+/- 1 week). of orders supplied by Takata	are supplied within the time scales listed (+/- 1 week). In order to accurately rate delivery times from Tamon Design we require at least 5 products to be ordered and shipped. of orders supplied by Tanabe	are supplied within the time scales listed (+/- 1 week). In order to accurately rate delivery times from Tanida Motorsport we require at least 5 products to be ordered and shipped. of orders supplied by Tein	are supplied within the time scales listed (+/- 1 week). of orders supplied by To-Box	are supplied within the time scales listed (+/- 1 week). of orders supplied by Toda Racing	are supplied within the time scales listed (+/- 1 week). of orders supplied by Top Fuel	are supplied within the time scales listed (+/- 1 week). In order to accurately rate delivery times from US Racing Sports we require at least 5 products to be ordered and shipped. 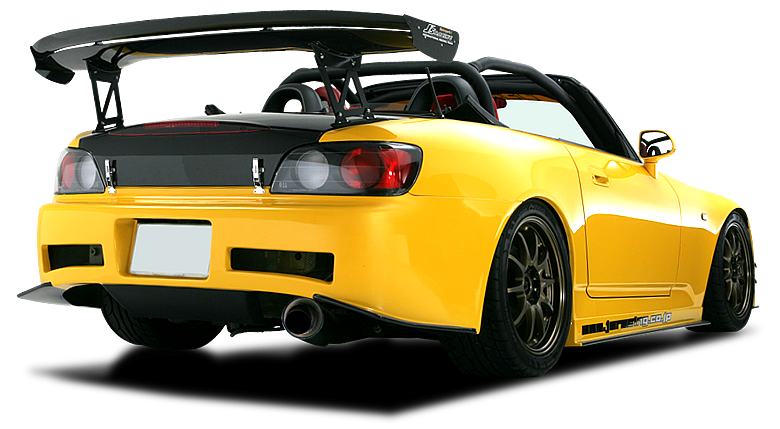 In order to accurately rate delivery times from Varis we require at least 5 products to be ordered and shipped. of orders supplied by Vision Technica Sport	are supplied within the time scales listed (+/- 1 week). In order to accurately rate delivery times from Voltex we require at least 5 products to be ordered and shipped. of orders supplied by Weds Wheels	are supplied within the time scales listed (+/- 1 week). of orders supplied by Work Wheels	are supplied within the time scales listed (+/- 1 week). of orders supplied by Works Bell	are supplied within the time scales listed (+/- 1 week). of orders supplied by Zeal	are supplied within the time scales listed (+/- 1 week). of orders supplied by Zoom Engineering	are supplied within the time scales listed (+/- 1 week).